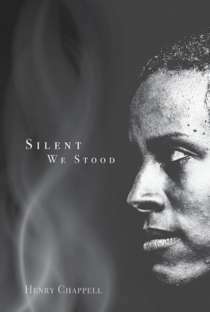 Please join us this Wednesday as we talk with novelist Henry Chappell about his latest novel Silent We Stood. We prerecorded this interview on 07.02.2014. We broadcast Writing on the Air every Wednesday from 6-7pm Central Texas Time on 91.7FM KOOP.org in Austin, Texas. You can also stream us live on KOOP.org. Please like us on Facebook, and let all your friends know about our little literary show from Central Texas. In 1986, he read John Graves’ Goodbye to a River and knew then and there that he wanted to write. Shortly thereafter, his articles, essays and short stories began to appear in various regional and national magazines. Over the past two decades, he has written hundreds of articles for publications such as Orion, The American Conservative, Field & Stream, Sports Afield, Gray’s Sporting Journal, Texas Highways and Texas Parks & Wildlife. Chappell’s first novel, The Callings, was a 2003 Spur Award finalist in the Western Writers of America “best first novel” category. Since then, the Meinzer-Chappell team has created Working Dogs of Texas, (2009), Under One Fence: The Waggoner Ranch Legacy, (2010), and Wagonhound: Spirit of Wyoming (2013). 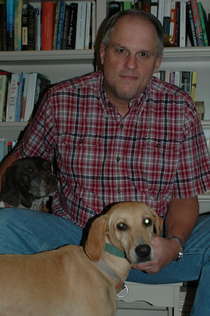 Chappell’s second novel, Blood Kin, was a 2005 Spur Award finalist in the “novel of the west” category and a runner-up for the TCU Texas Book Award. His most recent book, Silent We Stood, won the 2014 Western Writers of American Spur Award for best historical novel. Chappell is a field reporter for The Land Report and writes a regular column for Texas Wildlife. You can learn more about Henry by visiting his website, ByHenryChappell.com.